On April 22-23, 2007, elections will be held in Syria for the 250-member parliament. Parliamentary elections are held in Syria once every four years, with slightly over two-thirds of the seats (170 out of 250) being reserved for candidates from the National Progressive Front (NPF), a coalition of ten ruling parties headed by the Ba'th. The remaining 80 seats are open for independent candidates. It should be noted that in the outgoing parliament 167 seats were reserved for the NPF, and the remaining 83 for independents; in other words, the number of seats reserved for the NPF in this year's elections is greater than in the past. The parliamentary elections are being held amidst sharp criticism on the part of the Syrian opposition. The "Damascus Declaration," an umbrella organization of numerous opposition parties and extra-parliamentary opposition groups, including the Syrian Muslim Brotherhood and Kurdish groups, has announced that the Syrian opposition intends to boycott the elections, saying that the current elections law does not allow for free, fair, and transparent democratic elections in Syria. The current Syrian elections law was first enacted in 1973 and has undergone numerous changes since then. The law does not allow opposition parties to run candidates in parliamentary elections; this right is reserved for the parties in the NPF. It should be noted that at the tenth congress of the Ba'th party's national assembly, held in June, 2005, the assembly recommended the adoption of a new elections law that would allow for the establishment of new parties in Syria that would be allowed to participate in parliamentary elections. Throughout January and February 2006 numerous reports appeared in the Syrian media on the drafting of various proposed laws in anticipation of the issuing of the "Parties Law" in Syria. According to the reports, the law was to have been issued in April, 2006, but to date no new law has been enacted. 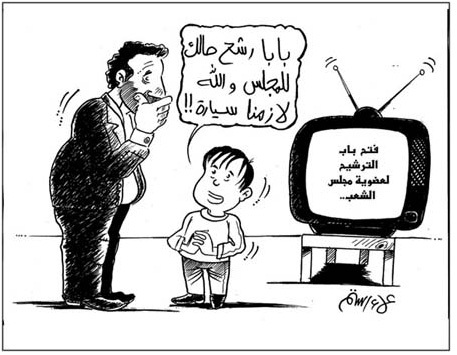 Criticism of the elections can be observed in the official Syrian press as well. In recent weeks dozens of articles have been published which sharply criticize the parliamentary candidates, describing them as freely scattering promises, but not doing anything once elected apart from actions that serve their personal interest. The Syrian government papers, which generally avoid criticizing the authorities, have in the last two months published dozens of articles criticizing the candidates and the functioning of the parliament. 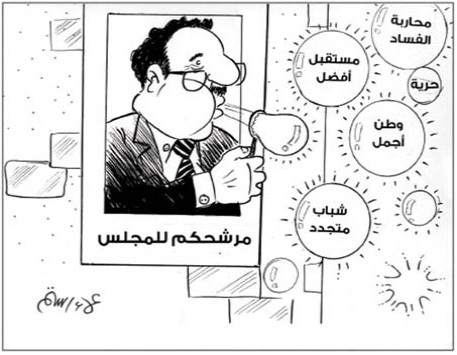 Columnist Muhammad Al-Rifa'i: "The Candidates Have No Vision, Campaign Platform or Work Plan"
"In short, the candidates – or at least most of them – rely in their campaign on personal contacts, and use these contacts to reach the voters and obtain their votes... All we have is posters with the candidate's name and picture. Are we supposed to vote for [a certain candidate] based on his pleasant looks? Perhaps it is his smile that is supposed to enchant us into voting for him. Do some of [the candidates] think that their good looks, their beauty or their euphonious or unusual names... render a [campaign] platform unnecessary[?]" 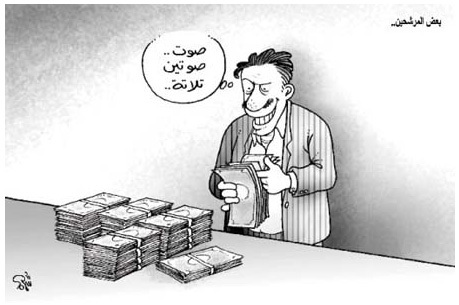 The Campaigns Are Nothing But "Empty Slogans"; "The Candidates Do Nothing After They Are Elected"
An article published in the government paper Al-Thawra said: "We had an election four years ago, and since then we have heard nothing from [the MPs we elected]. Their attractive appearance and optimistic faces [have faded] even from memory – so much so that it appears as though they have gone somewhere else to escape from our constant complaints. [For four years] they did nothing, and never bothered to make contact with the citizens who voted for them. Perhaps they regard them as nothing more than [living] voting slips. Now, four years later... our squares, our neighborhoods and the facades of our homes and [public] facilities are [once again] plastered with pictures of attractive, nice-looking men, who seem to comb their beards [about] once every three hours, by a rough estimate, so finely dressed that that their ties probably come from Giorgio Armani... [They look] so happy, their faces smiling and [glowing with] optimism, as though they haven't a care in the world (except for the citizen's [well-being], of course)... gazing at us with profound fondness and affection..."
Columnist Munir Al-Wadi wrote in Al-Thawra: "When the citizen votes for his parliamentary candidates, he pins great hopes on the campaign [that they promise to wage] against the negative phenomena that affect [the citizen's life]. In choosing which candidate [to vote for, the citizen] relies on the campaign platforms and on the promises [made by the candidates] in the city squares, in [their] pamphlets and in their campaign tents – where they receive their voters and express their fondness [for them] and the sincerity of their intentions. The candidates scatter promises and fliers, [declaring] that they will be the best representatives and the ones who will best protect [the voters'] interests. They shout themselves hoarse [promising] reforms... and making other [promises], few of which – if any – are ever implemented. The [candidates] who succeed enter the parliament, and swear to be the best of representatives. But the [real] picture soon emerges, when the TV cameras reveal that many of the MPs are absent from most of the sessions. The MPs [attend the sessions] only when the ministers attend them, in order to ask favors for their associates or for themselves – requests that have nothing to do with the voters. The promises [made before the elections] are thus [forgotten], and the citizen must find other ways to make himself heard..."
Al-Thawra columnist Ismail Jaradat published a series of articles criticizing the election candidates, who, he says, do not even believe in their own slogans: "The slogans brandished by many of the candidates are brilliant and ambitious, but they turn into empty [promises] once the campaign is over and the results of the democratic process become known... As a matter of fact, based on past experience and a careful examination of the slogans heard [in the previous elections]... we can say that there is a wide gap between the [slogans] and what the candidates [actually do], and this causes the voters to lose confidence [in the candidates]..."
Columnist Mustafa Al-Miqdad wrote in Al-Thawra: "The citizens are expecting the ninth [parliament] to be more effective and influential than the previous ones. Though the previous parliaments passed and amended many laws, they were negligent when it came to supervising the government and closely scrutinizing its performance. The previous parliaments neglected to set up mechanisms for supervising the government's performance... which would enable the parliament to accurately assess the implementation of development plans... The citizens trust their candidates to carry out this task [in the next parliament]. [They] expect them to formulate clear principles defining the mechanisms of interaction between the legislative and executive branches in a way that ensures the separation of powers..."
"Many Citizens Do Not Want to Vote"
"We can courageously and patriotically say that these institutions have failed to fulfill their function in the past, and this for many reasons. Most [of these reasons] have to do with their members, who do not properly discharge their duties – some due to their limited capabilities, some because they are more concerned with ceremony than with actual issues, some because they are waiting on instructions from the parties they represent... and some because they are more concerned with themselves and with their personal interests than with their voters and their homeland..."
The Syrian opposition announced that it was boycotting the parliamentary elections, and called on the Syrian people to do the same. It argued that the Elections law was discriminatory and undemocratic, and denounced the fact that two-thirds of the seats in parliament are reserved in advance for members of the Ba'th the [other] NPF parties. There was also criticism of the fact that no there is no mechanism for supervising the elections, that wide sectors of the society are barred from presenting parliamentary candidates, and that the Ba'th and NPF candidates are not elected in a public and transparent process. The opposition further stated that the Syrian Emergency Law and that the suppression of freedoms by the regime prevent the holding of free and democratic elections. Damascus Declaration: "We Will Speak Out against the Undemocratic Elections Law"
"The Damascus Declaration for National Democratic Change declared in its founding statement that it will [pursue] national democratic change... gradually and by peaceful means. It also stated that free and fair elections are one of the means to achieve [such change]. "The Damascus Declaration stresses that the citizens will not be content to participate in elections that are based on an unjust and discriminatory law, or in an elections process that is based on coercion and falsification, which has been their lot for a long time. Therefore, the Damascus Declaration hereby declares that it is boycotting the elections for the ninth parliament, and calls upon the Syrian people – all national sectors, elements and political and social forces included – to boycott [the elections], something they have been doing automatically and spontaneously throughout the last decades. "The Damascus Declaration is not doing this out of despair and frustration with the actions of the regime, which include oppression, falsification and fraud in the election process, but in protest, [and as a call] to amend the election process as a way to reform the [entire] political process..."
Next, the Damascus Declaration lists its specific demands. First, it demands to revoke the Emergency Law, as well as the law reserving 167 [now 170] of the 250 seats in the Syrian parliament for members of the Ba'th party and the NPF. The Damascus Declaration further demands that the Elections Law and the elections process be amended by introducing voter lists [for keeping track of citizens who have voted and thus preventing repeat voting], and by allowing freedom and equality in presenting candidacy, assembling, conducting an election campaign and putting up elections posters. Another demand is to allow supervision of the elections by the judiciary system, and by relevant NGOs and local, Arab, and international organizations. The announcement further states, "This is a call to speak out against the contempt and disregard... for the political, economic, cultural and humanitarian rights of the [Syrian] citizens, against actions that the regime [has been carrying out] for decades as part of a systematic plan that aims to take exclusive control [of the country] and deny the citizens' rights to manage their affairs and take part in political decisions, as is customary in modern countries... We must speak out loudly against the undemocratic Elections Law and express our objection to the falsification of the formal elections process meant to reflect our will." Syrian Oppositionist Riyadh Seif served as an MP in 1994-2001, until the Syrian authorities arrested him along with other Damascus Spring activists." In a two-part article published in the Lebanese daily Al-Safir on April 18-19, 2007, Seif described his bitter experience as an MP in the Syrian parliament. The Syrian authorities, in response, banned the distribution of Al-Safir in Syria on these dates. 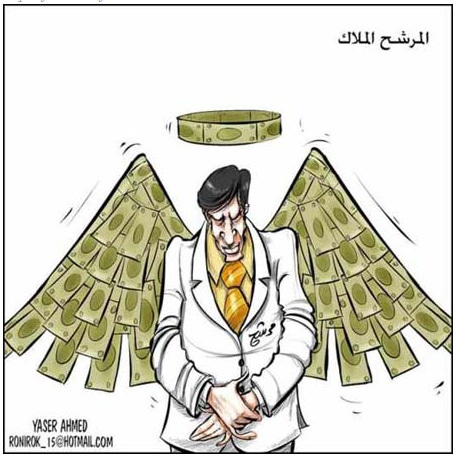 In the articles, Seif wrote that, with the elections drawing near, he felt the need "to describe the painful experience of struggling to defend human rights [in Syria] and to [promote] a progressive and prosperous state free of oppression and corruption." He said that, throughout his six years in parliament, he was subject to a smear campaign, to intense pressure, and to numerous threats from [other] MPs, from the speaker, from the ministers and from Ba'th party members. He was also fined and was made to pay excessive taxes, and even offered [various] bribes and incentives [in return for] his silence." In an interview with the reformist website www.metransparent.com, Seif stated that, as a signatory to the Damascus Declaration, he intended to boycott the coming elections. He also criticized the functioning of the Syrian parliament, saying that MPs are completely powerless: "After my bitter experience in two elections, I feel that these elections are a farce. They are a formality without value, since the parliament has no real authority. With the current composition [of the parliament], with the Emergency Law and with all the other existing circumstances, an MP cannot do anything even if he wants to." Syrian civil rights activist Anwar Al-Bouni, who has been in prison since May 2006 after being incarcerated in the wave of arrests of Syrian intellectuals and oppositions who signed the Beirut-Damascus Declaration, published an article in which he criticized the Syrian elections law. In the article he wrote that the law allows voters to vote in any of the elections centers, and are not limited to any given polling booth, a fact that allows voters to cast multiple votes. Al-Bouni added that "the foundation for an elections process is supervision and [the existence of] a judicial authority capable of calling [the fairness of] the elections into question," but that in the Syrian elections law there is no provision for independent supervision or for an independent authority capable of monitoring the elections or calling them into question. The only representative of the judicial system [in the elections process] is one member in [every] district elections committee who is appointed by the Minister of Justice, that it, by the authorities. Al-Bouni further points out that the district elections committees are completely biased because of their composition and their wide powers. "The root of any reform is political reform that enables every sector in society to take part in the political decision-making [process]... This requires, first of all, a modern and real elections law, based on globally accepted legal criteria, in order to establish a free and transparent democratic process." Syrian Human Rights Activist Ali Al-Abdullah: "The Elections Are a Theater of the Absurd"
The picture was made even darker by the enactment [of the constitutional article that guarantees the status of the Ba'th party] as the ruling party... by reserving  of the seats in parliament [for this party] and for its allies – the [other] NPF parties. Thus, two thirds of the seats in parliament... are uninfluenced by the [citizens'] vote, and [only] 83 seats are left for the rest of the candidates competing [in the elections]." Al-Abdullah describes how the citizens are forced to vote for the NPF parties: when entering the voting booth, the citizen is given a form already filled out with the names of the NPF candidates, and he is only allowed to add the independent candidates of his choice. This whole process, Al-Abdullah concluded, is a theater of the absurd. Al-Abdullah added that, "In light of the policy of development and modernization endorsed by Syrian President [Bashar Al-Assad] since his rise to power seven years ago, there was hope for a 'leap of progress' in the election process... [It was hoped that] citizens would be allowed to submit their candidacy freely, that the law reserving [two thirds of the parliament seats for the ruling party] would be revoked... and that the ruling party and the National Progressive Front parties would be required to elect their candidates in an open vote, attended by the media and by observers, so that the election of candidates would no longer depend on considerations of the party leaders... The submission of parties [representing] political and social forces outside the NPF must be permitted... [As for the process of counting the votes], it is hoped that the falsifications will stop and that the count will be conducted honestly and transparently..."
Caption: "Some of the candidates"
Thought bubble: "One vote, two votes, three…"
Caption under canvas: "Vote for your candidate"
On TV screen: "The candidature for membership in the parliament has opened"
Talk bubble: "Dad, present your candidacy for parliament. By God, we need a car." Talk bubble: "Our representative [in parliament] is punctual. He visits exactly once every four years." Caption on elections poster: "Your candidate for parliament"
On the soap bubbles: "The fight against corruption," "A better future," "Liberty," "A better homeland," "Rejuvenation." *H. Varulkar and O.Winter are Research Fellows at MEMRI. Teshreen (Syria), April 2, 2007. Al-Thawra (Syria), April 5, 2007. 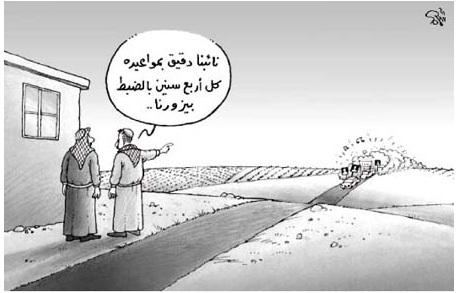 Al-Thawra (Syria), March 4, 2007. Al-Thawra (Syria), March 29, 2007. Al-Thawra (Syria), February 22, 2007. In October 2005, an alliance among Syrian parties, forces, and oppositionists signed the "Damascus Declaration for National Democratic Change." The document stresses the need for democratic change in Syria and for the end of the military regime that has controlled the Syrian people for over 30 years. The declaration calls, inter alia, for the establishment of a democratic government in Syria, the elimination of the Emergency Law, the release of all political prisoners, and a solution to the Kurdish problem. The signatories included the Committees for Reviving Civil Society, the Kurdish Democratic Front in Syria, the National Democratic Union in Syria, the Syrian Committee for Human Rights, and the Muslim Brotherhood in Syria. Akhbar Al-Sharq website, March 22, 2007. "Damascus Spring" is a term for the political awakening that took place in Syria with Bashar Al-Assad's assumption of power, in June 2000. In the course of one year, many public bodies promoting democracy and civil society were established across Syria, including the Jamal Al-Atasi Forum, which in January 2001 declared itself an NGO for democratic discourse. In September 2000, a statement by 99 Syrian intellectuals called for the abolition of the state of emergency in Syria, the release of political prisoners, and the advancement of political and civil reforms. In July 2001, the establishment of the Syrian Human Rights Association was declared, and attorney Haithem Al-Maleh was elected chairman. Expectations for reform, however, began to fade when in August 2001 the Syrian authorities launched a series of arrests of reformist activists, and sentenced them to years in prison. However, hopes for reform began to fade in August 2001, when the authorities began to arrest advocates of reform and sentence them to long periods of imprisonment. Akhbar Al-Sharq website, April 18, 2007. Al-Safir (Lebanon), April 18-19, 2007. Terror in America (17): Conservatives and Reformists in Iran: Divided in condemning the attacks; United in opposition to the American response. 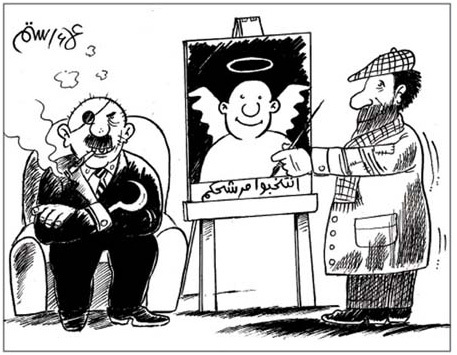 Al-Mustaqbal (Lebanon), February 25, 2007.